Spain and Algeria have signed a cooperation agreement to form a joint unit to fight illegal immigration and prevent terrorism. Spain and Algeria have signed an agreement for the creation of a joint team of investigation (Equipo Conjunto de Investigacion, Eci) to boost efforts against illegal immigration and to prevent Islamist terrorism. 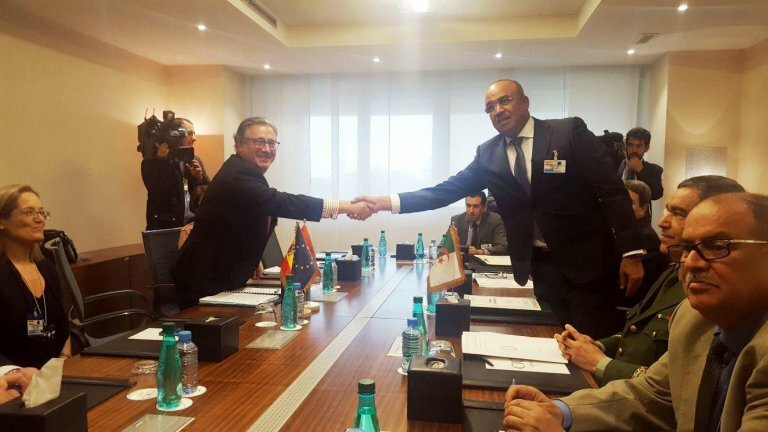 The agreement was signed during a visit to Madrid of Algerian Interior Minister Noureddine Bedoui, who met with his Spanish counterpart, Juan Ignacio Zoido, and visited interior ministry departments, according to ministerial sources. The agreement follows a critical phase in relations between the two countries caused by the mass landings of over 2,000 migrants of Algerian origin on Andalusia's coast in 2017. The emergency led the Spanish government to set up a temporary hosting center in the prison of Archidona (Andalusia) in order to host over 500 Algerian migrants. Incidents were reported at the center and a migrant died before it was closed. The two ministries are now working to create a joint team to investigate human trafficking networks and to train police officers ''after the good results reached over the past few years with a total of 338 Algerian police officers who took part in training'' as well as special courses ''to control borders and fight terrorism'', the sources said. The Spanish ministry also stressed that Algerian authorities were making a ''great effort'' to combat illegal immigration and that in the first trimester of the year the arrival of undocumented Algerian migrants was down 20 percent on the same period in 2017 - from 215 to 170.